Whether a pedestrian is in a parking lot, sidewalk or walking on the side of the road, he or she is often placed in harms way due to nearby vehicle traffic. Although there are safety features put in place to protect pedestrians in New Jersey and elsewhere, this does not guard them from negligent drivers that might collide with them. When a pedestrian accident occurs, victims are likely to suffer serious or even catastrophic injuries. At Scura, Wigfield, Heyer & Stevens, LLP, we understand that pedestrians are at a great disadvantage when an auto-pedestrian crash occurs. Because pedestrians do not have the benefit of a protective shell like an automobile, pedestrians involved in an automobile collision often suffer several serious injuries. He or she could be thrown in the air, resulting in temporary or even permanent disabilities. When a vehicle strikes an individual, it is important to understand what caused the crash. Did the driver fail to see the pedestrian; did a traffic violation lead to the crash or was the driver speeding, intoxicated, distracted or negligent? Our legal team has helped our former clients thoroughly investigate their accidents, helping them navigate through the legal process and recover compensation owed to them. A victim of a pedestrian accident often suffer physically, mentally, emotionally and financially. He or she will likely endure countless medical bills; however, the victim might require future medical treatment. Because of that, victims likely seek financial recourse for current medical bills, rehabilitation, future medical costs, pain and suffering, lost wages, accommodations for any disabilities and other related damages. 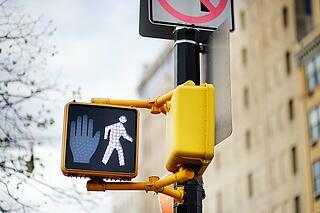 A pedestrian accident can be a tragic event that could alter the life of the victim and their loved ones. If a negligent driver is responsible for the injuries and damages suffered in a crash, it is important to take the necessary steps to hold that driver liable. This could help the victim collect compensation, helping them on their road towards recovery. Schedule a free personal injury consultation today.